VELD - S.I.N. LTD. EDIT. (DIGI) | Online Shop | Wizard LTD. Album: "S.I.N. LTD. EDIT. (DIGI)"
Belarus death metal band Veld was born in 2001 by mastermind Kiryl Bobryk. After a series of releases where the band honed their sound in delivering a technically proficient and intense form of unrelenting death metal brutality, the band actively toured with the likes of Mayhem, Vader, Behemoth, Decapitated. Their merciless live performances brought Veld as the leader in the Belorussian metal scene and one of the most talked about new death metal band from the entire Eastern block. As to fulfill his creativity, band leader Kiryl Bobryk even ventured in writing of an instrumental progressive metal album released under his name and entitled Seeds for Chaos which showed an outstanding guitar work. Released in 2015 Veld&apos;s most recent and strongest work Daemonic - The Art of Dantalian really can&apos;t leave any fan unconcerned. This future genre classic shows a blackened organic side of the band while maintaining the original technical death metal madness and precision Veld has been known for. 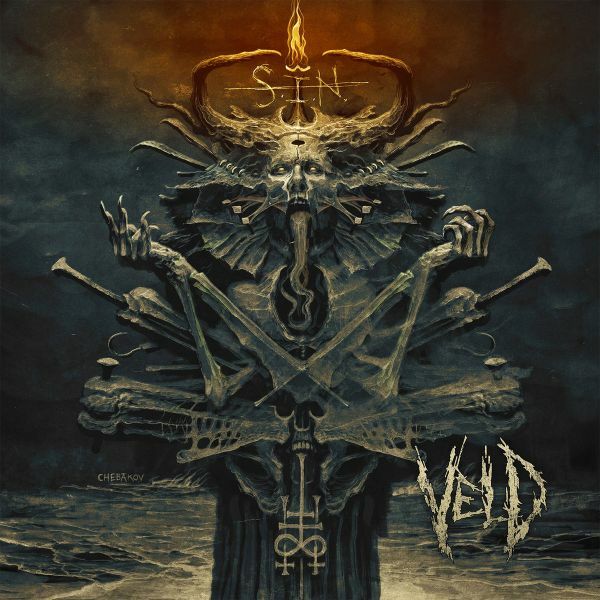 Veld has crafted new material for their new full length album entitled S.I.N.. Some guests like Romain Giulon (Benighted, Necrophagist) and Karl Sanders (Nile) have already been confirmed to appear on the recordings. Veld are pushing all death metal barriers in terms of musicianship and execution showing a tremendous amount of determination.